EPL-2 is the latest developed automatic pocket spring units production plant by ESUN. 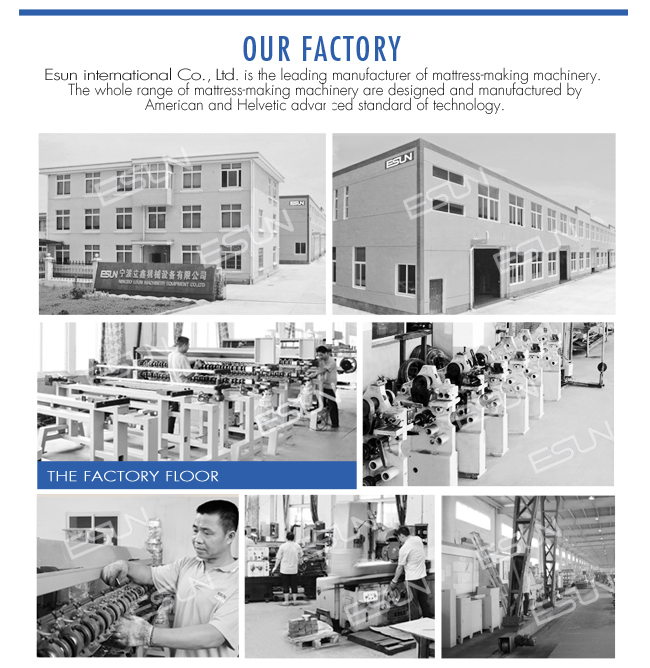 It includes 2 sets ESP-80 digital control pocket spring machines,1 set ultrasonic cutting transfer machine and1 set automatic assembler machine. 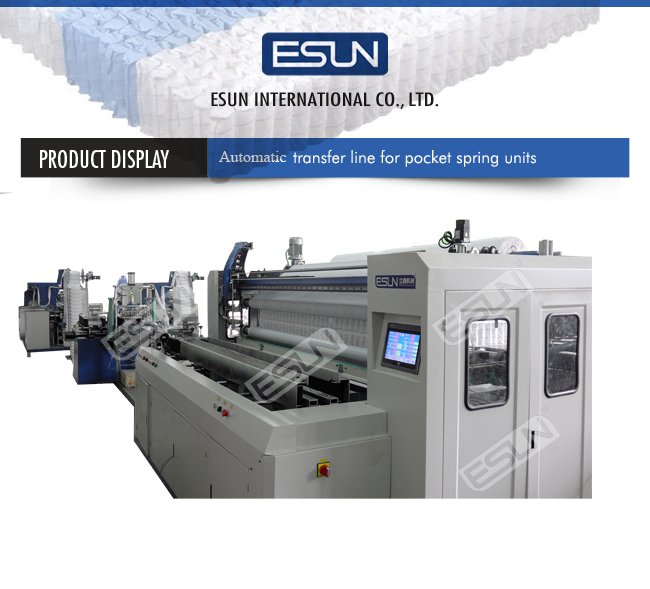 Steel wire and non-woven fabric will be producted to pocket spring by ESP-80 digital control pocket spring machine then pocket spring will be sent to automatic assembler machine by ultrasonic cutting transfer machine. 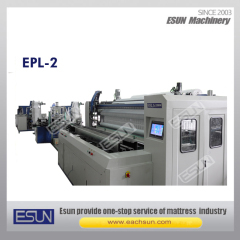 EPL-2 automatic pocket spring units production plant adopts digital control, highly-automatized, easy operation,it is fit for high efficiency mass production.